We won the Best Small Guest House (B&B style) award in the prestigious 2011 & '10 National AA Travel Guides & American Express® Accommodation Awards Programmes, having been finalists in 07, 08 & 09. Marlyn & Thelma were honoured with a Fabulous Food award for their breakfasts in the 08 programme. 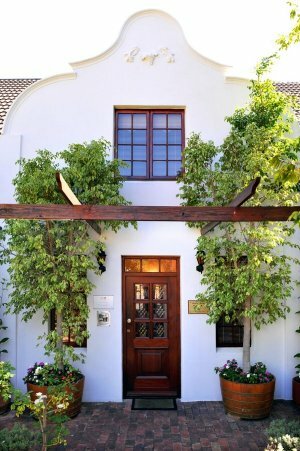 This is the ideal spot from where to explore the many features of the winelands and even farther afield in the Western Cape as we are centrally located - within and hour or so’s drive to most attractions.